This Institute was the first to start the full-fledged Prosthetics And Orthotics Department, Workshop for Manufacturing Prostheses & Orthoses and structured educational courses in the field of Prosthetics And Orthotics in entire South East Asia. The Pilot Prosthetics & Orthotics workshop was initially setup under the aegis of UNICEF with machinery and inputs from foreign experts. 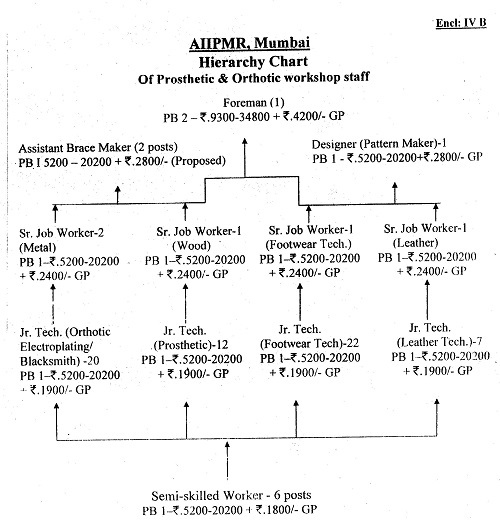 These experts trained locally available skilled manpower in the art and science of manufacturing Prosthetic & Orthotic appliances way back from the year 1957-1959. About 4500 patients are fitted with various types of Prostheses and Orthoses per annum. The concept of fabrication and fitment technology has undergone a complete transformation with the onset of the 21st Century from exoskeletal to endoskeletal prostheses and from leather and wood based technology to the use of modern metallic alloys and polymers. The Institute is currently offering 4 ½ years Bachelor in Prosthetics & Orthotics (B.P.O.) and 2 years Master in Prosthetics & Orthotics (M.P.O.) Courses affiliated to Maharashtra University of Health Sciences (M.U.H.S. ), Nashik and recognized by Rehabilitation Council of India (R.C.I. ), New Delhi.